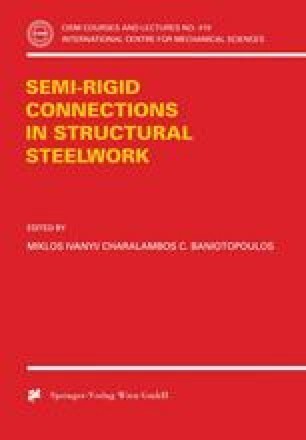 The present chapter describes the sources of joint deformability and gives information on how to integrate the actual joint behaviour into the frame design and analysis process. Four main aspects are particularly dealt with: the so-called joint characterisation, classification, modelling and idealisation. Finally practical procedures for the evaluation of the response of moment resisting joints are presented.